I'm just glad we got something of a idea of when it will actually start now regardless of when that is. Edit: and I was actually a little bit wrong on my timing of the likely start date. Its more likely it would start in early November (not late) if Hasbro does everything like they said they would an announce the start date a month in advance, according to some one in the EQD comments. Yea, but what about Thanksgiving? It would be cool to the the MLP version of that holiday. Yeah! Me too! They should do "Cutie Mark Crusaders: Treehouse of Horrors!" There may be a MLP:FiM movie coming guys. It may seem a bit short, at only 66 minutes, however it says 1X66 which means 1 66 minute episode (season 3 was listed as 13X22 meaning 13 22 minute episodes) however the likely release date is suspect though it might be just a place holder of some kind. Omnipony's "Bass Cannon" music from "Epic Wub Time". I don't know who rumors a DVD to be a movie, but I think it's rather obvious that's it's 3 episodes of 22 minutes. This is probably old news but here is a pretty nifty Doctor Whooves cartoon. And this gif made my day. "All the ponies in this town are CRAZY!" I could watch this forever. Seriously. Here is my predictions for Season 3. 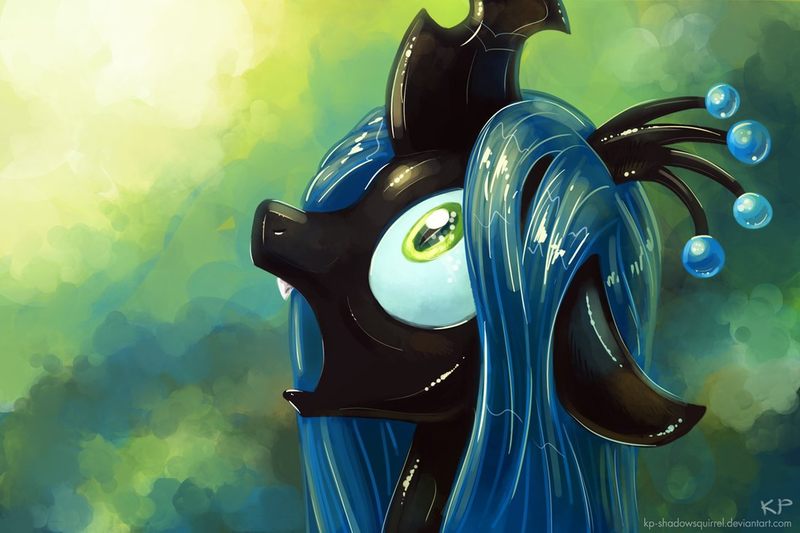 Chrysalis returns to take her revenge on the Mane Six. But she learns, as many with vengeance in their hearts learn, revenge is not justice and can only lead to something worse. And she unleashes something that she can't control. She turns them into worse monsters than she could ever be! 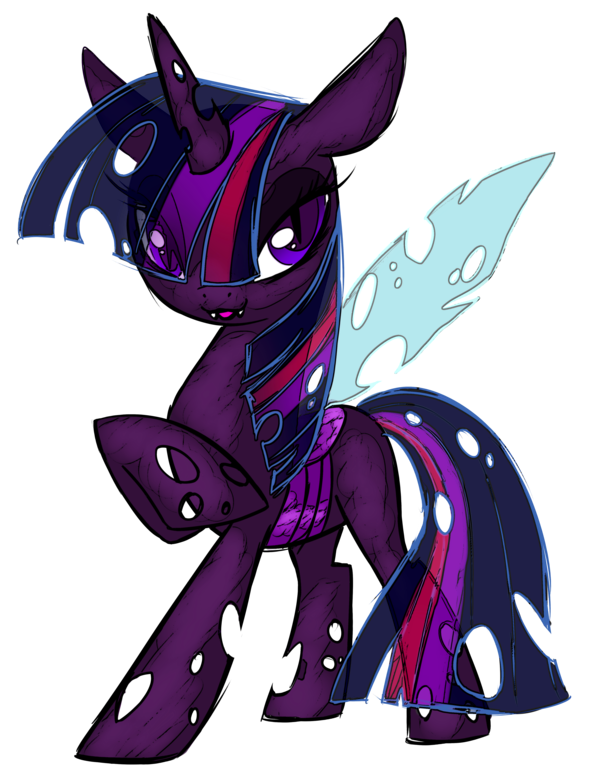 I wish I could like Changeling!Mane Six more, but it saddens me too much. I doubt she would have ever wrote that if she thought such a thing as a Brony could possibly exist. 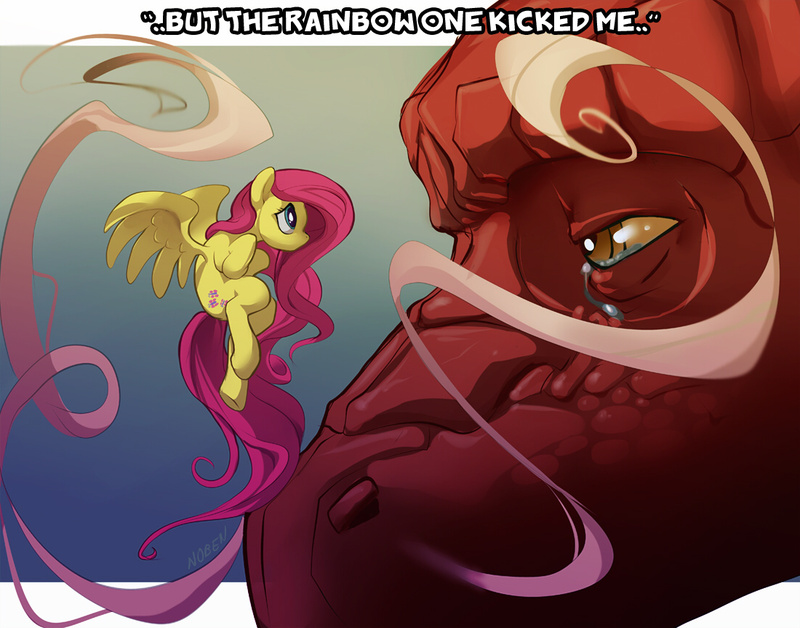 Also, time for more epic pony art! Seems much sadder this way. Lauren Faust didn't write for Foster's, her husband did. She was the art director. I suppose she could have had some input, but there's no way to know she wrote that. BECAUSE OF THIS I JUST CAN'T STOP MYSELF FROM PUTTING MY MLP AVATARS BACK!! I know, but still, it's funny. True, though I get the feeling that, when the scene was run past her, she freaked out and gave a big hug to whoever came up with the idea. I seen this on DeviantArt last night, And I thought it looked pretty good too. But the first thing out of my mouth was "Anime style Pipsqueak and Scoots whaaat?" ... Ponies has that effect on me. I forgot what episode Applejack was blushing like that in. 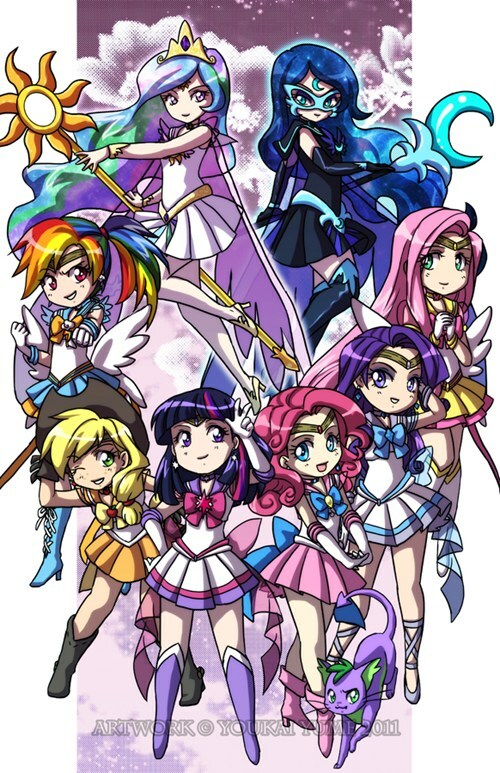 I think that "Sailor Moon" bit is pitch perfect!. Here's a fun little flash cartoon. Luna needing a break from her work and her rivalry with her big sister. Edit: After watching more of the stream she's basically Jon Talbain from Darkstalkers meets Guile/Charlie from Street Fighter. Which is just so freaking awesome! Makes sense she fights like that. She has assumed the boxing position more than once in the show, after all. ...gosh darn it, Tara Strong... is there anything you can't do awesomely? I imagine this is a fairly accurate representation of pont conventions, considering it's fairly accurate to anime conventions too. I just picked up an IDW "Doctor Who" comic at my local shop today and the the entire back cover is an add for IDW's "My Little Pony" comic. It is a light pink field with a dark pink silhouette of Rainbow Dash in flight. Twilight Sparkle. Rainbow Dash. Rarity. Fluttershy. Pinkie Pie. Applejack. Funny you mention it, it was the back cover of IDW's Doctor Who/Star Trek crossover. MLP/30 Days Of Night. Rainbow Dash vs Marlowe, and Luna finally gets subjects that appreciate her beautiful night. MLP/Godzilla. Spike finally gets a male role model to look up too. MLP/Mystery Society. Derpy joins another group of supernatural investigators. I'm sure she can get a good reference from the BPRD. Season 3 confirmed for November. Just...oh my gosh. That is the greatest thing ever. Of all time. I want DiMaggio to voice a pony now. Axel as Snails was a bigger deal for me.